I would strongly suggest taking some time to read more on git, a good tutorial that really gives the keys like http://mrchlblng.me/2014/09/practical-git-introduction/ so that you gain time and avoid maddening moments. I’ll read that tutorial; thanks! What I did last time was turning my changes into a patch file (and not a very large one), and then applying it to a fresh UE 4.5 branch. Once 4.7 is out I’m planning to try rebasing Epic’s 4.7 onto my branch. I’ve avoided rebasing since my changes are pushed to Github, but in this case I think it would work because it would be my first push of the 4.7 changes to my repo.. not 100% sure. first of all, let me thank you for this great project. 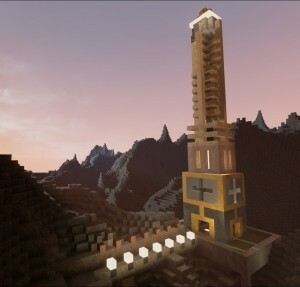 It is by far the best looking “Minecraft Style” Terrain I have seen so far. I am no pro at UE4 Coding, but I feel like it might be a good basis for a project I want to realize. 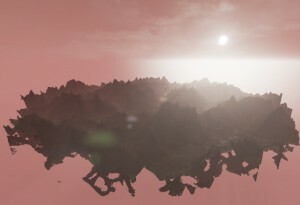 The idea is a Game that uses a RTS top down perspective, but using terrain that is modifyable, like the brick terrain here. In order to use it though, I would need to make some modifications and wondered if you could hint me into the right direction where to look at in your source. I tried digging through it last evening, but since it is so complex, I am having a hard time understanding what is happening where. The terrain I need has fixed dimensions and is not endless, like minecraft is. It also need to be on a plane, with no caves underneath or stuff like it. I basically need a plane of land, with some mountains on top, in which you can dig tunnels into etc. Also for rendering, I wonder if it is possible to cut it off at the top, so that mountains dont stick into the camera too deep. I hope I made it somehow clear what I mean. It is sometimes difficult, since english is not my native language. Would be cool, if you could give me some hints. Sorry for the late reply, but your comment was sitting in a pending queue for a while that I forgot to check. BrickGame should be able to do exactly what you say. It is by default constrained in height, so you can’t have mountains that are too high. The same mechanism works for the horizontal axes, they are just set to extremely large numbers. Basically, you can do this by just changing the MinRegionCoordinates/MaxRegionCoordinates members of the BrickGridParameters struct that you pass to the BrickGridComponent’s Init method. Like the other comment said, your work is amazing. Hands down the best tutorial to get into UE4 by reading beautiful written code. A question that I always wanted to ask you was how to implement caching! Have caching crossed your mind at some point? Because by making a render cache all that information could be calculated no more! I am no expert, really, and that is why I came here to talk about it instead of coding it like a boss and then do something on GitHub so it would cross your path and you would see it done. Again, your work really shows how familiar you are with the engine. Really cool to look at.